In Arcs 1600, with direct access to the Paradiski area, Hotel La Cachette is a family friendly hotel ideally located close to the ski lifts. The hotel offers children's clubs, at an additional charge and payable locally. The twin/double rooms offer either a view of the slopes and a balcony or a view over the valley. La Cachette has to be by far the best eatery we've ever stayed in. The breakfast buffet alone could have kept us going all day, and sometimes did as we pocketed the odd bread roll and slice of cheese. Looking at the amount some guests were piling on their plates, however, we didn't feel too bad about leaving with our lunch. Dinner too was exceptional. A superb selection of starters was followed by a good choice of main dishes, which were followed by another excellent selection of sweets and cheeses. Children, wide eyed with astonishment, were allowed to help themselves to a dozen varieties of ice cream. I felt the same about the cheese! The rooms were large and comfortable with plenty of hot water. Checking in and out was a doddle and the staff were pleasant and friendly. You can ski to within about 50 m of the entrance and are well positioned to access the whole of the Les Arcs/La Plagne lift system. The conditions when we were there were a little icy, but I'd love to go back and experience the resort under better conditions. There are certainly enough runs to satisfy any skier for a week at least. Les Arcs 1600 is the quietest of all the villages that make up Les Arcs, there are very few bars and no clubs. The funicular from Bourg St Maurice (Trains from London via Paris) terminates in Les Arcs 1600. 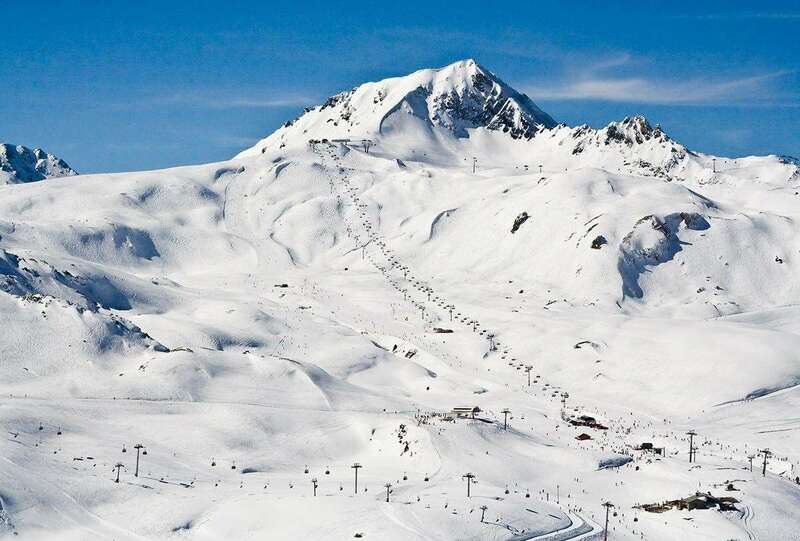 There is a free bus service that runs hourly in the evening until approx 8pm and more frequently during the day connecting all the Les Arcs villages. The cachette is ideally located at the bottom of a ski run that is maintained all season although in the spring expect slush and muddy patches. The hotel staff are friendly, the restaurant is well managed with a good choice of food.